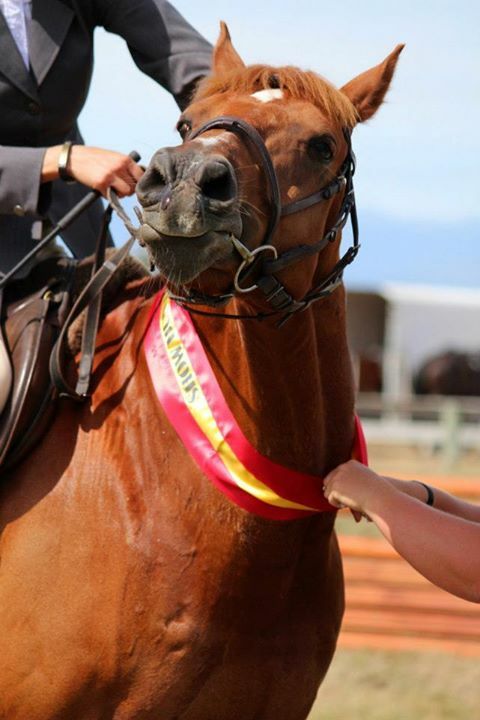 In the first year that I owned my horse JJ, I took him to maybe three shows. Mostly that was fine – he was very green and I was still quite nervous in a competition jumping environment, so we took everything slowly. But as we progressed, I wanted to get him (and me) out more. We had the talent (well, he did) and I had the determination, but unfortunately, what we didn’t have was transport. We were limited to the shows that were held at the park where JJ is kept (very convenient and lucky that they hold shows there!) and the occasional times we could beg a ride off someone. I was very lucky that I kept finding generous people who were prepared to take me to shows – I am grateful to each and every one of them. Some came out of their way to collect me, others cooked me breakfast and treated me like part of their family when I was on the road with them. 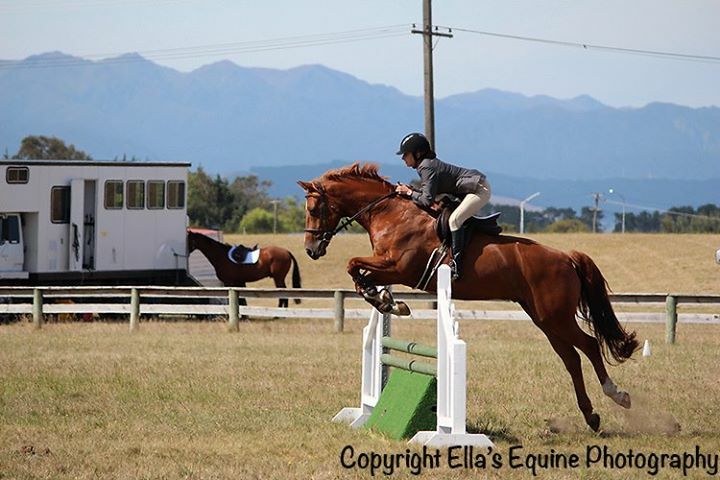 My ride to Horowhenua Circuit Finals in early 2013 came from one of the event’s show jumping judges, who offered to “hitch the float” onto the back of her car and take me and JJ along, since she was going up anyway to judge. Considering how much more time, effort and petrol it would take to drag a horse (and rider, and groom) to and from Foxton rather than just driving up and back, that was a hugely generous offer and one I willingly accepted. I can’t remember the particulars, but I hadn’t been expecting to be able to go – I guess I just couldn’t find a ride – and the offer came literally the day before the show, so it was a quick decision to go along and enter on the day. This was the early days of JJ’s Show Hunter career, and while he’d shown some promise, we were a long way off being consistent. 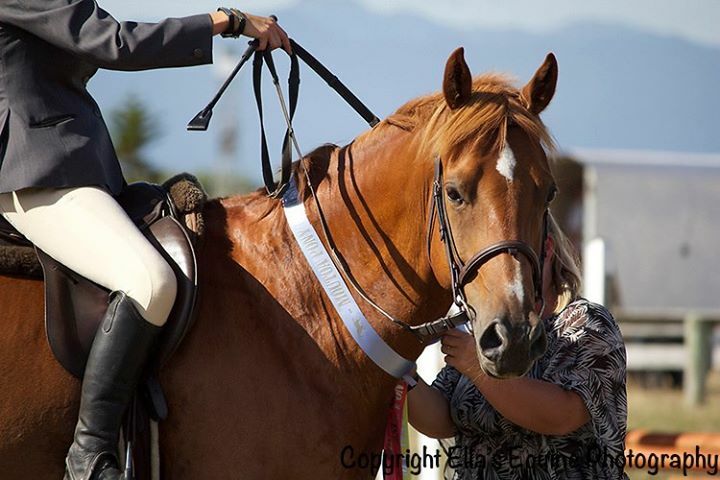 Six weeks earlier, I’d been asked to proof-read the show programme and had seen that the winner of the Equitation would take home a rug – not a cooler, but a wool-lined canvas rug worth at least $300. That was a prize well worth winning, but what were my chances? 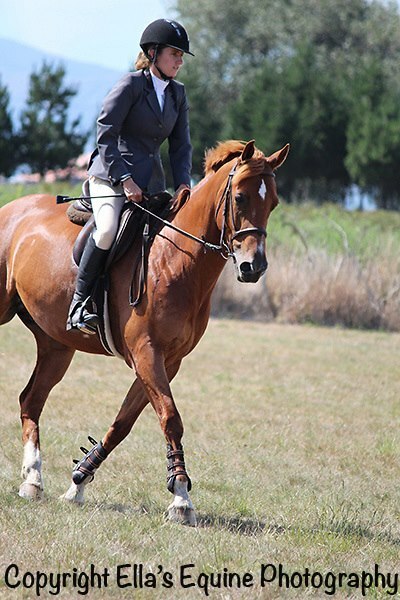 I’d never ridden in an Equitation class in my life, and wasn’t sure that JJ and I could pull off one decent round by fluke, let alone doing it when it counted. The day started well. JJ was a bit quick in the first round, attacking his fences with great enthusiasm, but he still placed 2nd. Then he jumped a super round in the next class and won it! 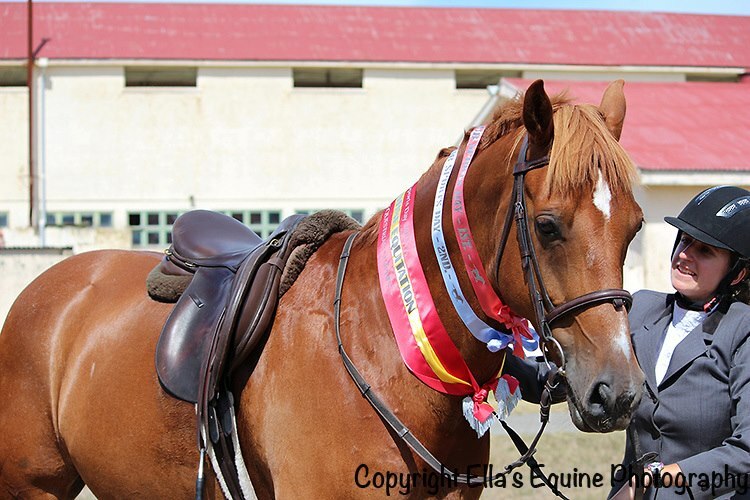 I was overwhelmed…it was JJ’s first win in a Show Hunter class and I was thrilled with him. JJ picked up 2nd place in his first class of the day! Equitation was up next, and it was a testing course, including a trot fence, flying change, halt to canter transition and a rollback turn. I studied the course, watched a few riders go, practiced a trot fence, then went into the ring with a smile and a determination to do our best. JJ was good – not perfect, but he did his best and I couldn’t have asked for more. I dismounted and stood at the ringside holding him while the last few riders went, noting all the things they did well and how likely they were to beat me. One of the best and most consistent riders in the event went out and had a gorgeous round…until she forgot where she was going and jumped the wrong fence! All in all, it was a show well worth going to, even if it was a last-minute decision. And just in case the success of two firsts and a second from three classes went to my head, I then went into the ring for my last class of the day and jumped an absolutely horrendous round in the Final, taking a rail and finishing with no score. I was kicking myself, because it was entirely my fault. But that’s horses and the horse show life for you! 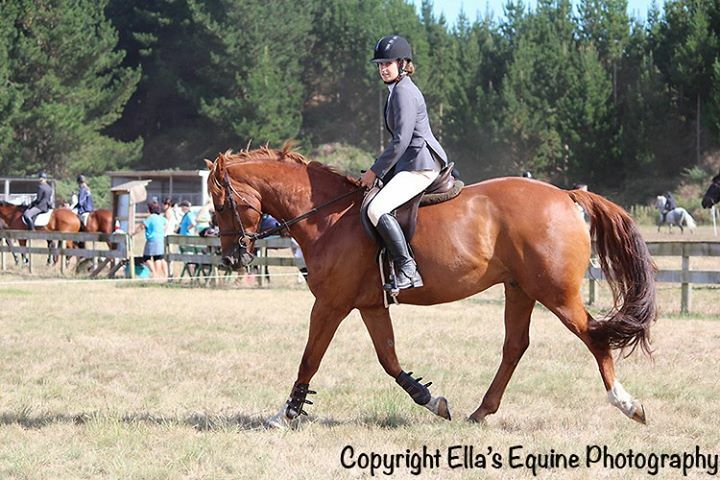 What a gorgeous looking horse JJ is! Great to read about an unexpected but not undeserved win – well done!